Are you a BCC credentialed through the Center for Credentialing & Education’s (CCE) in need of 4 Ethics CEU’s? 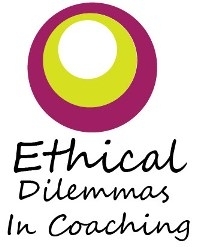 We invite you to join us in the telecourse titled Ethical Dilemmas In Coaching. This is not your everyday boring ethics course. Sure we review the basics, but in this 4 hour course we will introduce you to a variety of ethical theories and discuss relevant topics in today’s dynamic and every changing world. Loved you ethics course! Found it very interesting. As a result of your Ethics course, I feel prepared having gained more depth, knowledge and clearer understanding of Ethics principles and guidelines as it applies to coaching. Thanks very much for a great class. SOOOOO interesting! I enjoyed the course and thank you for your time and effort!